AhSleep enables your body to restore and balance these depleted naturally occurringchemicals. Most sleep aids and medications treat the symptoms, not the root cause.AhSleep is all-natural, non-addictive and safe to take with most prescriptions. It isa natural alternative to prescription sleep medications that often leave you feelinggroggy upon waking. 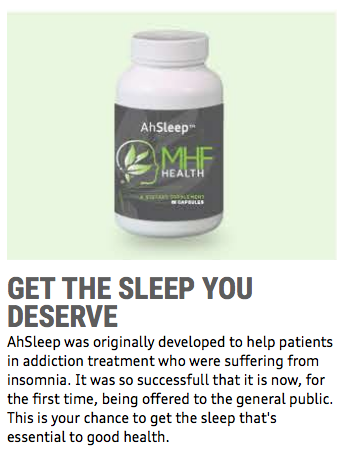 A h S l e e p.™ F o r a n “ a h - s o m e ” n i g h t ’ s s l e e p.AhSleep was originally developed by Dr. Tracy Sands to help patients in addiction recovery treatment whosuffered from insomnia.It was so successful that it is now, for the first time, being offered to the general public.As he worked with people struggling with insomnia, Dr. Sands discovered that most people with persistent sleep issues can be critically low in the hormones and brain neurotransmittersthat regulate sleep. Dr. Sands formulated AhSleep specifically to address your body’s chemical shortages tohelp reduce difficulty falling and staying asleep. AhSleep can help with each of the four main categories of hormone-related sleep disorders. You can’t fall asleep. You don’t feel sleepy. 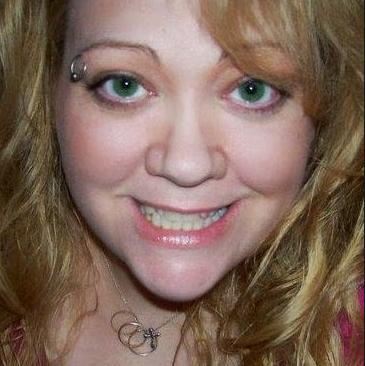 You’re restless, or have high anxiety. It’s hard to calm your mind from the continual chatter. If you can identify with any of these issues, you may have a melatonin-GABA issue. Inadequate melatonin levels keep you from feeling tired or sleepy enough to fall asleep. Plus, low levels of the brain neurotransmitter GABA will not allow your brain to relax, even when you eventually do feel sleepy. In severe cases, you may also suffer from low levels of the brain neurotransmitter serotonin. You can’t stay asleep. You fall asleep, but wake up a couple of hours later unable to return to sleep. This unwelcome pattern repeats itself throughout the night. Significant serotonin deficiency is often to blame for this sleep disturbance, due to excess cortisol production from stress or adrenal gland exhaustion or fatigue which is also caused by mental, emotional or physical stress. Correcting serotonin and dopamine levels can help solve both sleep and adrenal issues over time. You only sleep a few hours per night. You’re a night owl. You go to bed at midnight and wake up at 4 or 5am, usually without feeling rested. Continuous sleep isn’t your problem – getting enough of it, is. You can function, but you wish you could just get a few more hours of sleep. If this sounds like your sleep schedule, you may have a melatonin-GABA issue. This can cause a dopamine-serotonin deficiency and adrenal burn out, if not corrected. You can’t be still. The tell-tale signs of restless legs syndrome are frequent leg twitching or cramping, both of which cause sleep disturbance. Magnesium, GABA and iron deficiency are usually the cause in this sleep-related disorder. AhSleep restores brain hormones and neurotransmitters.AhSleep addresses depleted brain chemistry, namely the hormone and neurotransmitter system that the brain uses to communicate. Those depleted chemicals include dopamine, serotonin, GABA, acetylcholine, epinephrine and nor-epinephrine. Prescription sleep medications are ineffective because they treat symptoms, not the root cause. Patients on prescription or over-the-counter sleep aids are often severely depleted in normal sleep hormones. This results in becoming addicted or dependent on those medications to sleep. AhSleep breaks the cycle by re-training the brain: eliminating the medications and restoring the normal balance of melatonin, serotonin and GABA. AhSleep contains a combination of all natural ingredients that won’t leave you feeling groggy upon waking. This combination has been proven extremely effective in people with persistent sleep disturbances, who are likely to be critically low in the hormones and brain neurotransmitters that regulate sleep.